Nothing sums up the careful and attentive approach of all things Japanese quite like the rituals of a Japanese tea ceremony. In all our travels across Japan, we were constantly surprised at the attention to detail placed on many seemingly unimportant things. 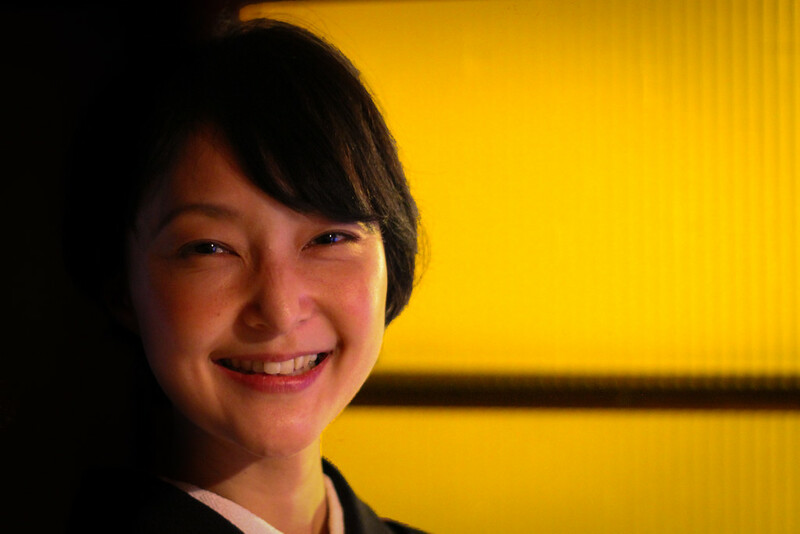 Whether it be the delicate and intricate preparation of all Japanese food, or the way everything just works, Japan constantly made us grin a little when we realised a solution had been designed for a problem we never knew existed. 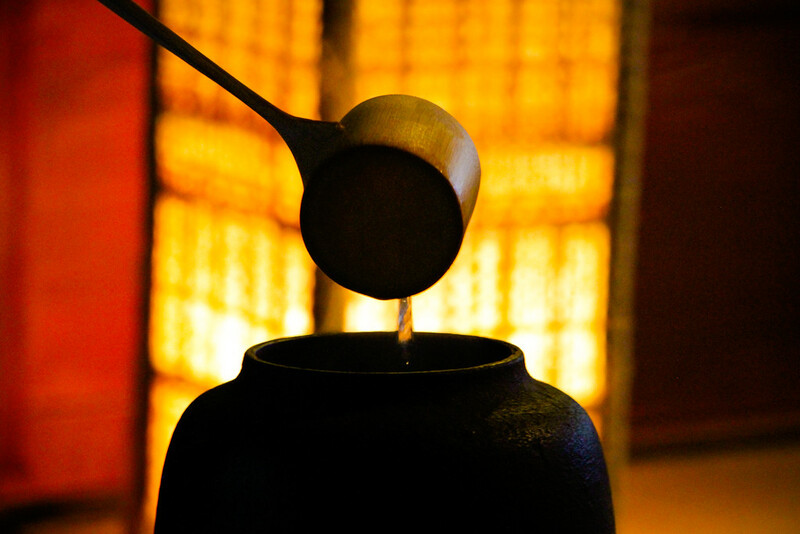 We’d always known about traditional Japanese tea ceremonies, how they formed an integral part of the Geisha experience, and that depending on the type of ceremony they can run for hours! I mean, how long does it take to make a cup of tea? Boil the kettle, add a tea bag, wait a bit, remove said tea bag and drink. Alas, it seems, despite drinking on average 3.5 cups a day in the UK, we are all complete amateurs when it comes to tea making! Anyway, onto the tea ceremony itself. We arrived to a small, wooden room with a sliding Ryokan style door in front of us. Removing our shoes as is customary, we slid open the door and stepped up, and into, a beautifully decorated, calm and serene traditional ryokan. We were greeted by one of the sweetest smiles we’d encountered during our time in Japan so far (and there had been many already). Welcomed by our host, we happily took our crossed legged positions on the bamboo mat floor with a small pillow to make us comfortable. As our eyes adjusted to the light, we could see all of the instruments that would go into making one cup of tea. Laid out before us was an intriguing set up consisting of a stove, a clay teapot, a small bowl, a spatula & a whisk made of delicate wood…interesting. We sat in quiet contemplation as our host prepared in a room behind us. And then it was time for the ceremony to begin. Our host, dressed delicately in a beautiful traditional dress, began proceedings by thoroughly cleaning all of the tea making utensils and positioning them ready to begin the actual tea making ceremony. Every move was delicate and purposeful – I honestly didn’t know such a simple process could be so fascinating and beautiful. Slowly and gently, we watched the intriguing hand movements, from traditional gestures including use of a special red hanker chief to simply placing and adjusting various bowls and utensils until they were in exactly the right position. From this point, the bowl of tea was created. 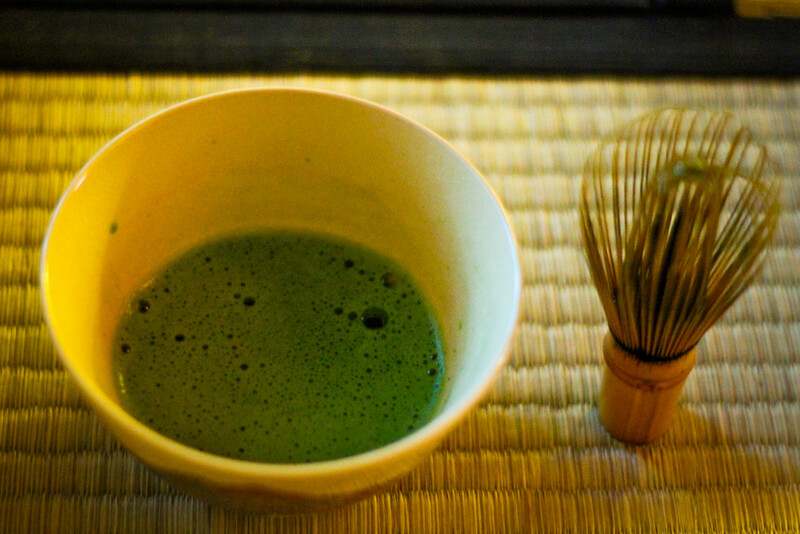 First, a small amount of green tea powder was lifted from its box on a small metal spoon, and placed in the bowl. Then it was time for the hot water, brewed to a specific temperature and taken from the pot that had been steaming away in front of us. Then the mixing of the water and tea, done with a small brush to stimulate the powder and water, creating a foamy and frothy green tea mixture. After around 10 minutes or so, the bowl of green tea was ready to be sampled. The verdict? It was, of course, delicious. Green tea can be slightly bitter, but this was subtle, colourful and just perfect. And we’re not just saying that because it took half an hour to make! Japan is famous for many things, from the highs of Japanese food, to onsen, karate, sumo, ryokans and Mount Fuji, there are a wealth of rich cultural traits and quirks. 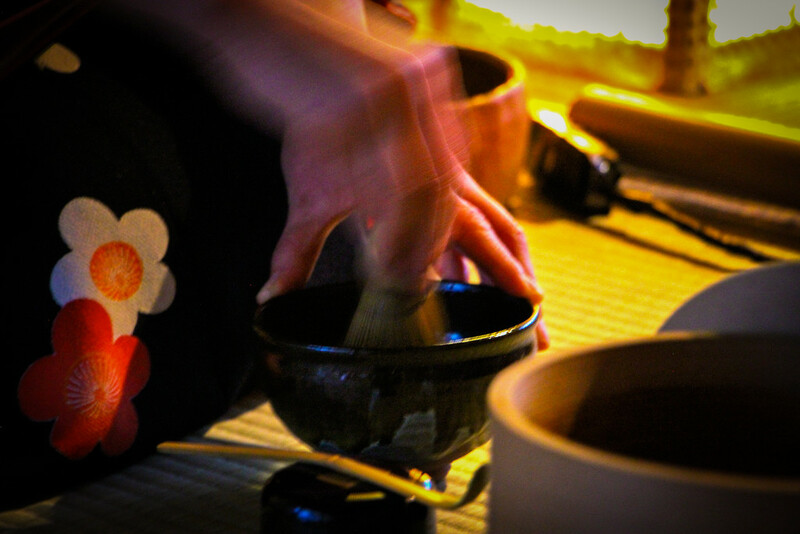 A Japanese tea ceremony for us is something that is quintessentially Japanese, but it also brings together some of the biggest themes in its culture: patience, respect, care and attention to detail. After our tea ceremony experience, we made our way back into the cold streets of Kyoto with a sense of tranquility, knowing we’d just witnessed something we had always wanted to experience. 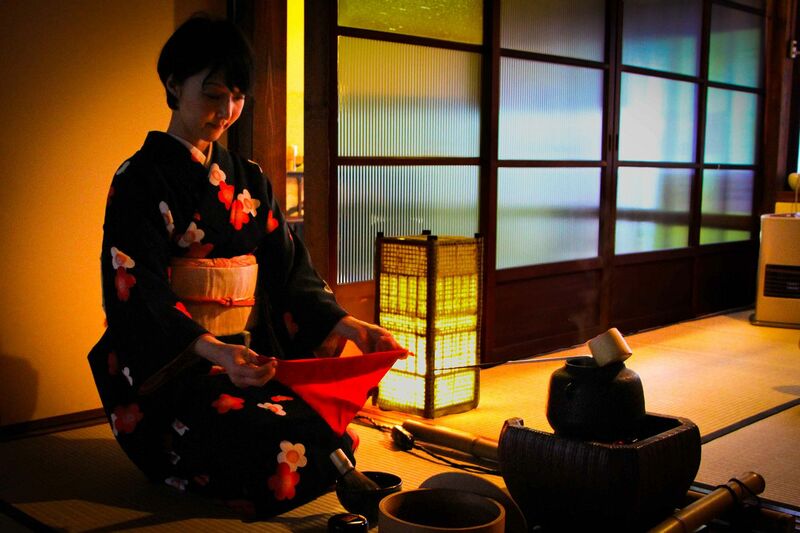 Have you experienced a traditional Japanese tea ceremony? What did you think of the rituals and process? Let us know in the comments below, and check out some of our other articles from Japan! Amazing. Do you remember where was this? Hi Lidia, we think it was a place called ‘En’ in Kyoto!